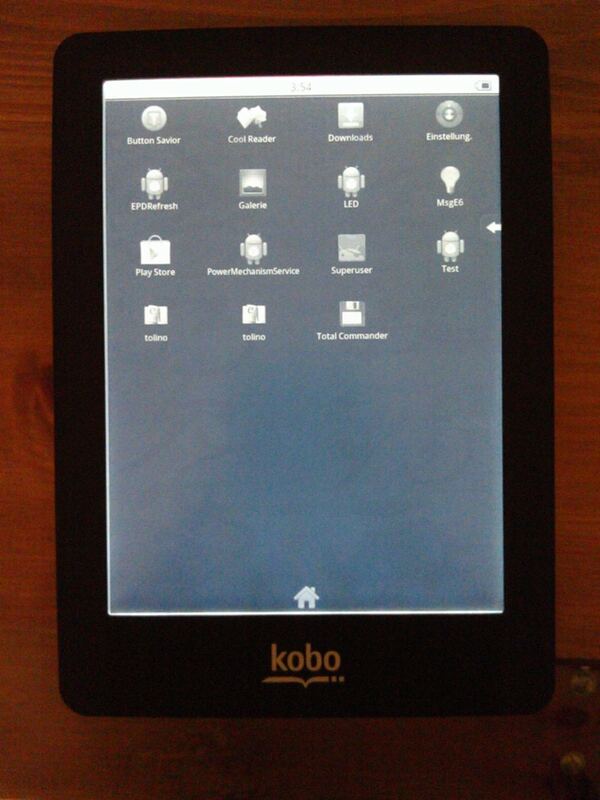 Have you been interested in the alternate Android and Linux tablet firmwares for Kobo's ebook readers, but not enough to completely replace the existing firmware? Then I have some good news for you. There's a new hack over on MobileRead Forums that lets users install Android on the external microSD card, saving them the effort (and risk) of cracking open the ereader and removing the internal microSD card. I haven't had a chance to try it myself, but I've been following the topic on MobileRead ever since the first proof of concept photos were posted in early November. That work was based on porting the firmware originally developed for the Tolino Shine and adapting it so it could run on kobo's hardware, and for the past few months hackers have been working to make the alternate firmware run better and easier to install. 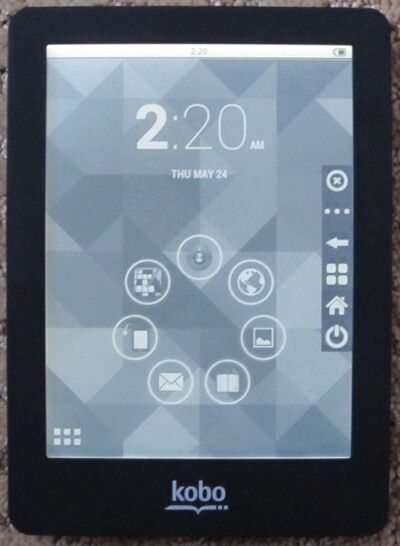 The Tolino Shine runs Android 2.3, so if you try this on your Kobo device you won't exactly be getting a new version of Android. Android 2.3 Gingerbread is close to 3 years old and lacks many of the refinements of later versions of Android, but on the plus side this firmware was adapted to run on E-ink screens, so what it lacks in modern features it makes up for in screen optimization (or so it appears based on user reports on MobileRead). This new trick has been shown to work on the Kobo Aura HD, Glo, and Touch, but not the Kobo Aura (no files have been posted for that model). That latter ereader doesn't have an internal microSD card slot, so the earlier hack didn't work on it either. Directions on how to setup the dual-boot card can be found over on Angor’s blog, along with the download files. He's posted files for the Aura HD, Glo, and Touch, as well as instructions on how to set up and install the Android firmware image. Check out MobileRead for tech support and more details. I wasn’t aware of this development.